As we prayed around the land and many times on my own, it hit home more and more each day that I was walking on the land of promise not just one promise but many and when it comes to intercessory prayer the cry of my heart was to identify where my prayer walk was leading me. “Call to me and I will answer you and tell you great and mighty things you do not know” Jer. 33:3 This scripture became more real as the Holy Spirit spoke to me about the land of promise but also my eyes were opened to just who the people of Israel are. This message and journey has brought transformation to our family and many thousands as I have taken this message to the nations. 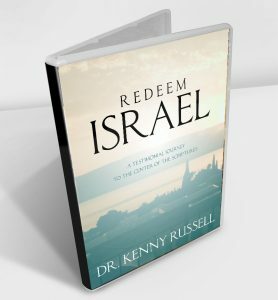 Join with us as we shine a light from the Galilee Israel to the ends of the earth!